I hadn't used a gel type cleanser for a long time since I find many of the kind drying on my skin, but I was thoroughly impressed by this all natural gel cleanser. It smells so delicately herbal yet slightly floral, and it calms down my nerves every single time I use it! 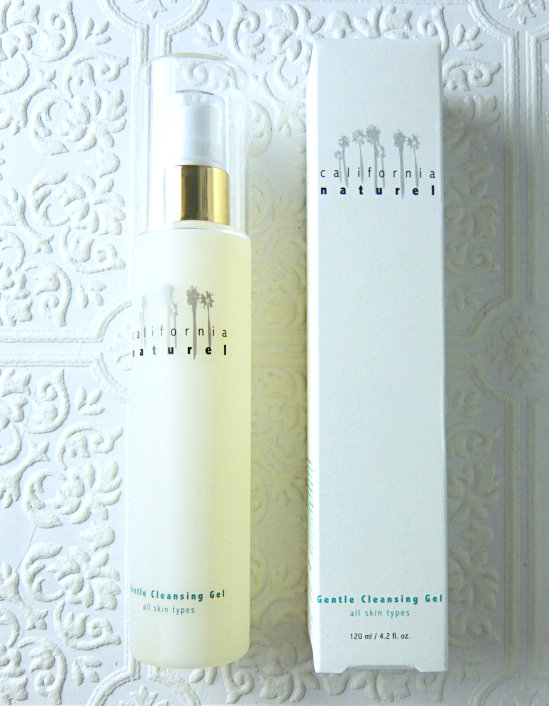 It is simply a great cleanser for all skin types. It lathers lightly to remove non-waterproof makeup by itself, but I use it after my cleansing oil to take care of any residue. The skin feels refreshed yet soft without feeling tight. It also makes a great Clarisonic companion, in my opinion. I was sent a sample size tube. 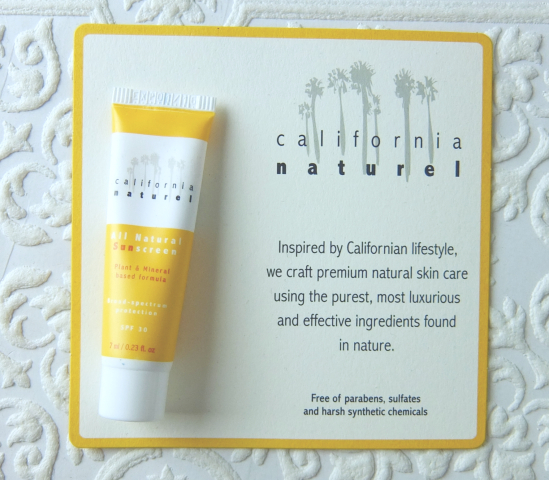 Like all California Naturel Products, it is free of parabens, sulfates and harsh synthetics. Since this is a all-physical sunscreen containing 20% Zinc Oxide, I was sure that it would leave a horrible white cast. It requires a bit of work to evenly spread since it has a thicker cream consistency, but soon it disappears leaving my face slightly brightened up. It is sweat-resistant and holds up pretty well on a humid day. I love using this sunscreen on my neck which tends to be more sensitive than my face. This is also an all natural lip balm that comes with a bit of sun protection. 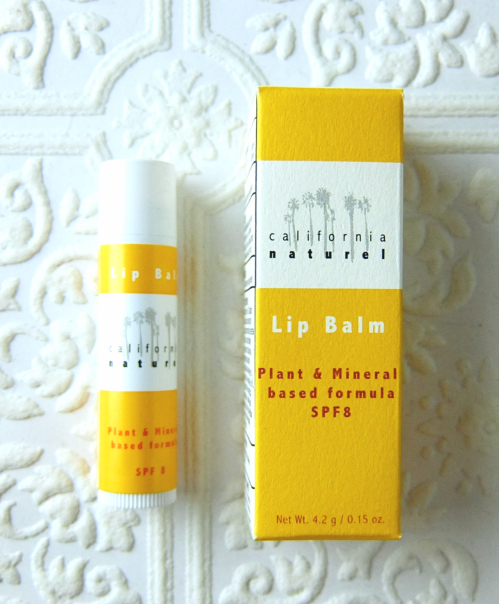 There are many lip balm that provide sun protection, but not many come with all natural ingredients. I am all about sun protection as some of you might know, but I feel hesitant about intaking chemical blockers from the ones containing oxibenzone and avobenzone, for example. On the other hand, lip balm with all physical agents gives you those white lifeguard lips, right? California Naturel Lip Balm is neither. It comes with both titanium dioxide and zinc oxide and it does leave a slightly white tint on lips, but nothing weird. The lip balm smells delicious reminding me of almond toffee. The formula warms up quickly and adheres on the lips very well, leaving my lips moisturized but not overly sticky. This would make an ideal base for your lip colors, too. Now, SPF 8 is not an adequate number in my book, but I see it as a compromise so I will take it. It is better than nothing and I don't have to worry about dying from eating my lip balm(? ), is something. Overall, everything I have tried from this up-and-coming natural brand is an ace. For the wholesome natural ingredients and the functionalities, I believe California Naturel is quite reasonably priced as well. I would highly recommend them to you if you are keen on natural skincare items, or if you are like me, who just love simple things that work. 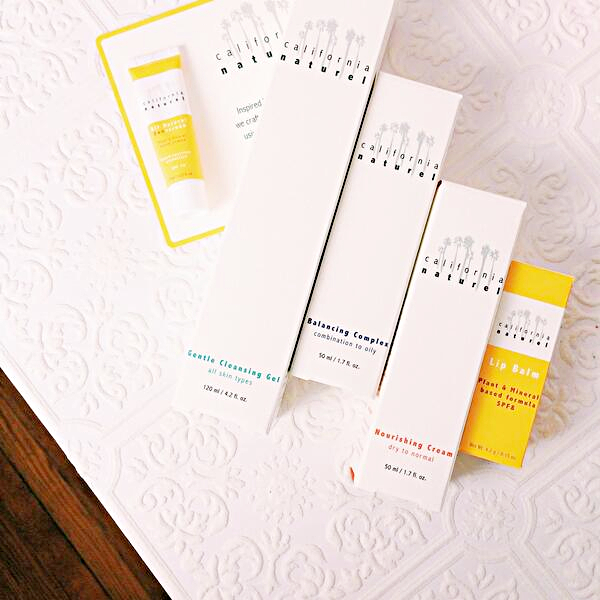 Have you tried anything from California Naturel? What are your general thoughts on natural organic skincare? I was about to give up on natural organic skincare products because I hadn't found anything that worked for me, and some of them are really unreasonably expensive! I started using California Natural products with lukewarm attitude so maybe that's why I am even more impressed with them. Not that I'm complaining! LOL. I'm glad there are more companies that focus on organic skincare. Honestly, I don't mind that much whether or not they're organic, but after trying a few organic brands, I can definitely tell the difference, especially when it comes to silicones. I think I'm lucky my skin isn't that sensitive so I can tolerate most brands. One thing about organic skincare though, sometimes their 'natural scent' bugs me. LOL! To be honest, I don't mind silicones and even like the effects of them, but this was a totally different experience. And I am just like you! I don't like strong herbal scents, but these are very lightly and pleasantly scented that I'm enjoying them so much. It is also functionality! I can't stand those leaky bottles with paper label stuck on. I feel more strongly about it since I've gone through e-tailer DYI phases. Anything worth my money should be professionally made and work properly. These seem awesome! 20% zinc oxide! I actually thought about you, Larie. I do like "organic" or "natural" skincare, but it's not a necessity for me. I need to use gentle cleansers because I also don't like it when my face feels dry/tight. Plus, harsh cleansers tend to break me out eventually. So that gel cleanser is intriguing! Thanks for the review!